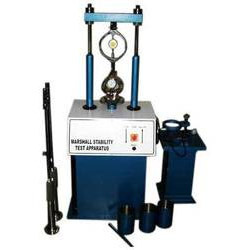 We are a leading Exporter of aggregate impact testing apparatus, marshall stability testing machine, cement testing equipment and marshall stability test apparatus from Salem, India. We are the leading supplier and trader of industrial testing equipments. We are engaged in offering wide range of Testing Equipment which is used in various industrial products. These H.T./Ignition Coils are manufactured using high quality of raw material that is procured from our trusted vendors. We are fabricating and supplying a large assortment of industry grade aggregate impact testing apparatus to our customers’. These are widely used to determine impact value of coarse aggregate and are properly checked on high quality and usage standards. 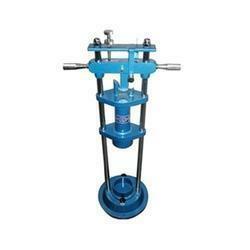 It is used in various applications in the industry and is being provided along with a heavy circular base and two vertical guides; very necessary for accurate results. Complete with interchangeable collar and base plate duly chromium plated as per latest code. Used to extract sample from mould consists of a thrust plate and loading bar. Consists of upper and lower cylindrical segment of test head having inside radius of curvature 5cm. We are the leading supplier and trader of industrial testing equipments. 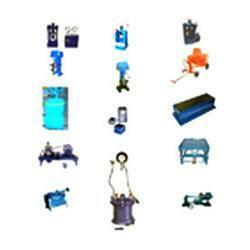 We are engaged in offering wide range of Testing Equipment which is used in various industrial products. We are engaged in the production and supply of various sorts of cement-concrete testing equipments to our customers’. These are renowned for features like perfect working, high performance and excellent finish; and are used in research institutes and laboratories. We offer them in different dimensions and sizes and charge industry leading rates. Looking for Testing Apparatus ?